This post will explain when and how you can use some of the more common storage wraps available at most grocery stores. 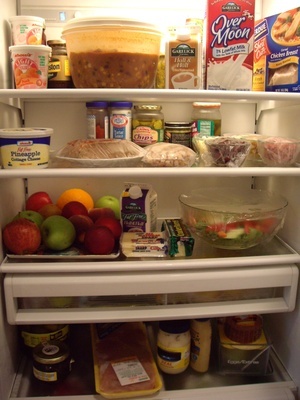 How we cover, wrap and contain our food plays a role in how well it fares in the cupboard, refrigerator or freezer. Even when properly stored all food does have a diminishing shelf life after opening. The U.S. Food and Drug Administration has a very helpful chart on how long to store food in the fridge. When it comes to food storage, the motto everyone should live by is – when in doubt, throw it out! Refrigerators are not the same temperature throughout. The crisper drawers and the door are warmer than the rest of the fridge. For this reason, it’s not a good idea to store highly perishable foods, like eggs, in the door of the fridge. Keep them on a shelf! The door shelving is meant for things like drinks and mustard. As a general rule, your fridge should be colder than 4 degrees C (40 F) and your freezer should be colder than minus- 18 degrees C (0 F). Contact with oxygen damages food, which is why it’s important to keep food in air-tight packaging or containers. Wrapping food in aluminum foil protects it from both light and oxygen. Foil is also the best material for keeping moisture out of food, so it’s great for freezing food. But keep in mind that it is reactive, so it can’t be used with acidic foods like tomatoes and berries. If it’s fairly clean after one use, foil can also be re-used after washing (unlike plastic wrap). It’s a good idea to use foil around plastic wrap for things that are going in the freezer, to provide a double layer of protection. You can use regular foil or heavier-weight foil that’s meant for freezing. In the fridge, use foil for wrapping sandwiches, pizza, bread and muffins. It’s great to use on anything that might be re-heated in the oven. You can use foil to line baking pans, in order to protect them from stuck-on food. Aluminum foil CANNOT be used in the microwave. Plastic wrap has the advantage of being transparent, so you don’t have to open it to find out what’s inside. Plastic wrap is good for making an air-tight seal on bowls or containers that don’t have a lid. However, plastic wrap typically can’t be re-used. These bags are very handy for keeping things like cold cuts or cheese fresh in the fridge. 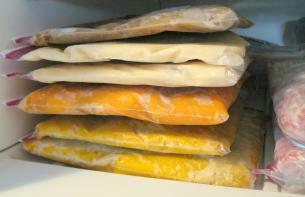 Heavier-weight plastic bags are sold for storing food in the freezer. These are particularly suitable for freezing batches of soup or saucy dishes. Try to squeeze as much air as possible out of the bag before sealing it. Lidded plastic, glass or Pyrex containers are reusable, and hence are better for the environment than disposable wraps like plastic and foil. There are all kinds of clear containers that make it easy to keep track of what you’ve got. Invest in a good set of storage containers and cut down on use of foil and plastic! Be sure to spray plastic container with cooking spray to prevent foods like tomato sauce from permanently staining the container. This is plastic-coated paper that’s meant for wrapping foods that you want to freeze. The advantage of freezer paper is that it’s easy to write on, so that you’ll know what you’re freezing. Note, however, that it’s NOT meant for use while actually baking, and will smoke if used in the oven. It is, however, useful in the microwave as a splatter cover. Waxed paper will not heat up as much as plastic wrap in the microwave. This multi-purpose paper has been treated to be non-stick and very resistant to heat. It is also often re-usable – the same sheet can be used like a baking sheet several times. Parchment paper can be used instead of grease to line a cookie or baking tin. You can also very easily make a parchment paper sling for brownies or loaves – then all you have to do is lift the finished product out of its baking pan. 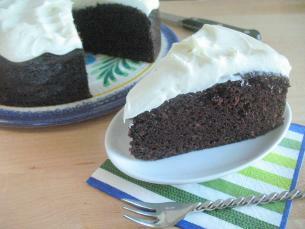 There is a great demonstration on how to use parchment paper to line a cake pan in my post on Chocolate Cake For Beginners. 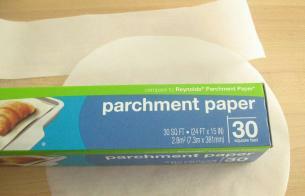 Parchment paper can also be used to separate foods that you want to freeze. Put a piece of parchment between hamburger patties, steaks or crepes, then wrap them as you normally would and freeze. When you want to use them, you won’t need a crowbar to separate them. Home cooks can buy an appliance that vacuum packs food, removing all the air from the packaging. These vacuum sealers can be used on foods that are refrigerated, frozen or stored in the cupboard. 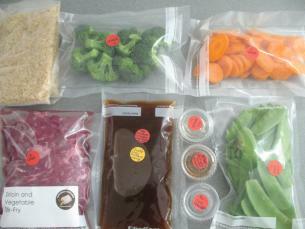 Vacuum packing can extend the life of stored food, and can eliminate the issue of freezer burn. Just remember, when in doubt, throw it out! I really like the tip for preventing tomato sauce from staining food storage containers. This is the first time I have heard of spraying the inside with vegetable spray to prevent staining. It really does work! I usually spray the inside of the lid as well.